We will keep your commercial signs looking clean & presentable! 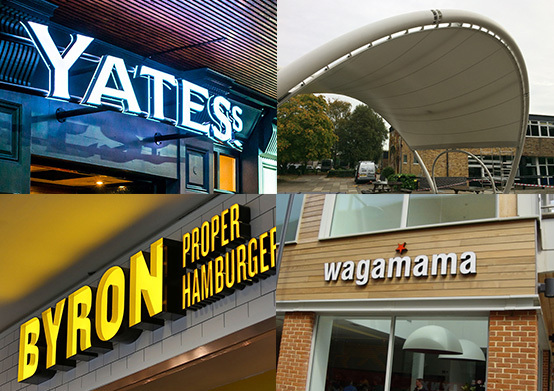 To ensure the best possible presentation of your business we can keep your business signage clean and bright, whether this is building-mounted or on a free-standing structure. Our water fed pole system provides ready and safe access to heights up to 35 feet. 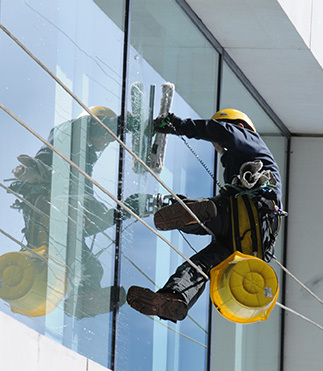 Your shop fascias and commercial signs will be cleaned so that they are free from the dirt and grime that has accumulated over time. Once they are clean they are then rinsed with pure water, so that they are left gleaming, with a nice shine and ready to promote your business once again in a positive way just like they should. Once we have completed our service we then carry out a final inspection. Once we are happy that they have been cleaned to a high standard, we then give you our satisfaction guarantee.